To highlight the DVD release of HEY ARNOLD: THE ULTIMATE COLLECTION, Nickelodeon sent my family this 18-disc set that includes 100 episodes from the animated series 5-season run for free to watch AND provided us with a set to giveaway to one lucky ageekdaddy.com reader or social media follower. Available now to purchase from retailers across the United States and Canada, HEY ARNOLD: THE ULTIMATE COLLECTION is the first time ever you can add EVERY episode of the animated series to your home video entertainment library. 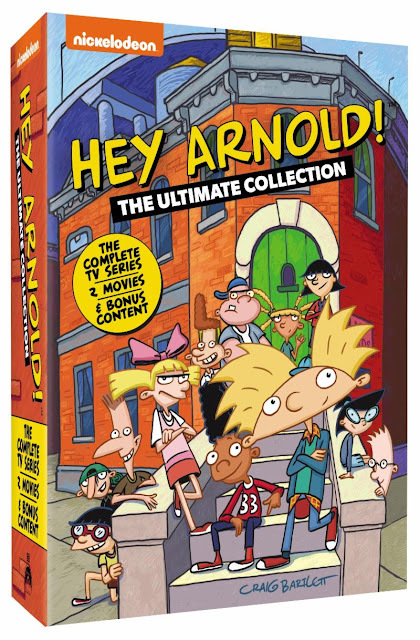 In addition to providing 42 hours of schoolyard shenanigans contained within the HEY ARNOLD television show, THE ULTIMATE COLLECTION also includes two films (Hey Arnold: The Movie + Hey Arnold: The Jungle Movie!) and bonus features such as Original Claymation Short: Arnold Escapes from Church, a featurette with lessons on Drawing Arnold, and a video Unboxing the Original Jungle Movie Development Art. 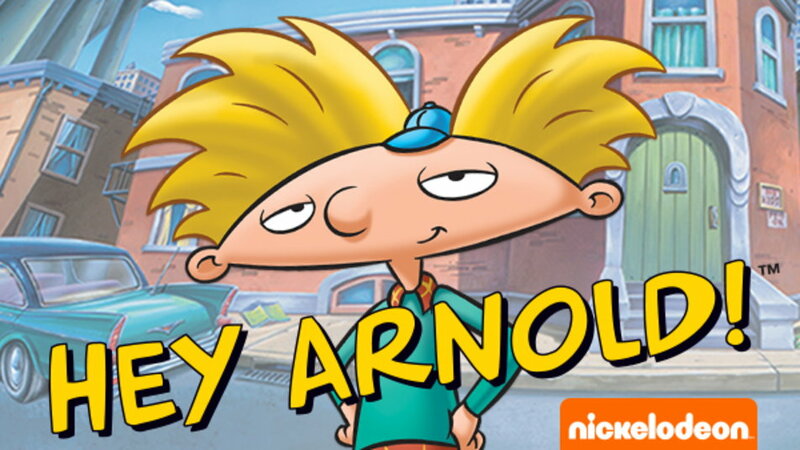 HEY ARNOLD was broadcast on the Nickelodeon cable network from 1996 - 2004. 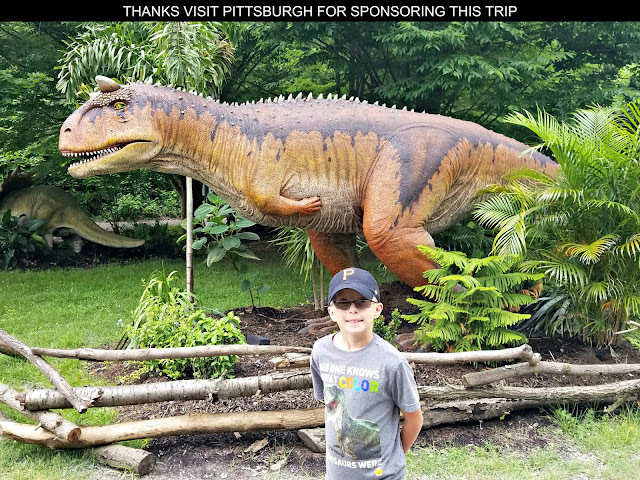 It was created by Craig Bartlett who has since created the Dinosaur Train and Ready Jet Go! animated television series for PBS. My 9-year old twins loved Bartlett's Dinosaur Train show as preschoolers and are looking forward to watching HEY ARNOLD for the first time with this DVD collection as the main character is a fourth grader just like they are now. 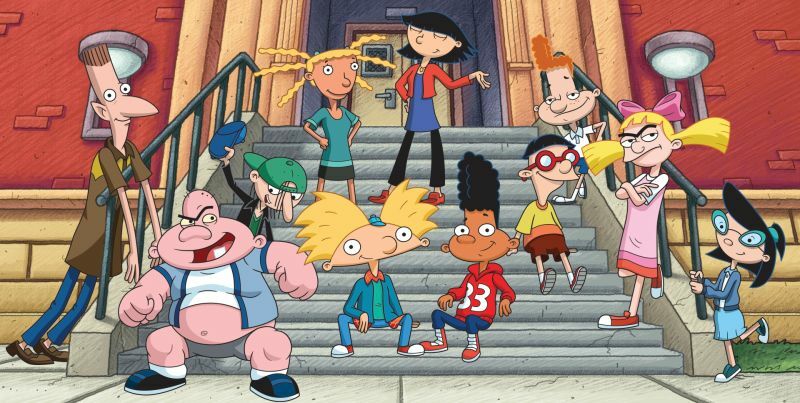 HEY ARNOLD centers around a fourth grader who lives with his grandparents in an inner-city boarding house. 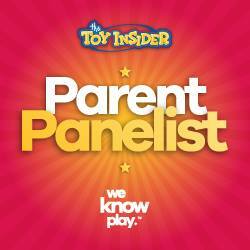 Episodes depict the adventures he has navigating big city life and going to elementary school. Stories often involve 9-year old Arnold helping a schoolmate or neighbor solve a problem or getting himself out of a predicament. Filled with hijinks and humor, these cartoons are age appropriate sitcoms produced to entertain kids during their free time after school and on the weekends. For over twenty years, this classic coming-of-age TV show has delighted people with stories featuring a kid with a football shaped head. With HEY ARNOLD: THE ULTIMATE COLLECTION you can enjoy every incident of schoolyard shenanigans shown in the cartoons as well as solve the series long mystery of what became of Arnold's missing parents by watching the 2017 adventure / comedy Hey Arnold: The Jungle Movie. To share in my family's enjoyment of HEY ARNOLD, I have an ULTIMATE COLLECTION to giveaway. For a chance to win it, just complete the entries in the form below before 11:59 pm on December 2, 2018. must be a continental United States resident over 18 years old to participate. One lucky winner will be randomly selected from all eligible entrants. Nickelodeon Home Entertainment is providing HEY ARNOLD: THE ULTIMATE COLLECTION and will be responsible for fulfilling the prize. Good Luck!